Freiburg Summer University intensive courses for international students have contributed to the unique atmosphere of the University of Freiburg for more than 100 years. Nestled at the foot of the Black Forest mountains, Germany's Green City with its historical monuments and ecological policy offers a classic blend of old and new. The diverse cultural life of the city and the long-standing university will ensure that you have a great and inspiring time. Courses available for levels B1, B2, and C1. More information regarding specific courses available can be found on the host university website. 7 ECTS = 2 UQ Units. Maximum of 2 UQ Units if 7ECTS are successfully completed (pending UQ faculty approval). All applicants must meet the UQ short-term experience eligibility criteria and the Freiburg entry requirements. This program impacts on UQ semester 2, 2018 dates, UQ students must meet the additional special conditions for programs that impact on teaching dates. Tuition will cost approximately $1,100 AUD, this does not include accommodation. 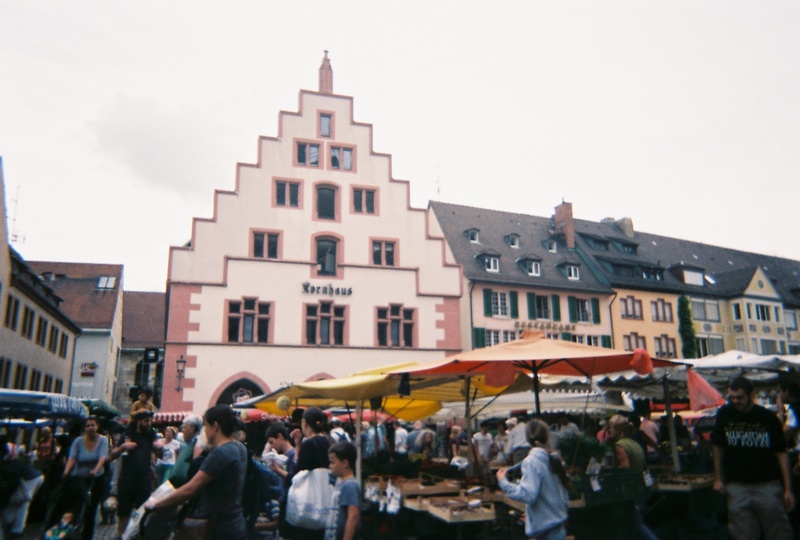 Although accommodation is not provided, Freiburg Summer University recommends a range of different accommodation options on their website for those participating in their programs. Although I was only in Freiburg for a short time, I gained so much. This is particularly in terms of my language skills. I initially felt out of my depth in the language course- many other students who were in the course had been doing German for far longer than 1 year! However, in these situations I found it really helpful to look at the long term goal (which is becoming a fluent German speaker) and push through the awkward, often grammatically incorrect beginning of speaking German. Read more of Eden's story here. I studied a German language and culture course and it was truly so worthwhile. I learned so much about interculturality and I felt so confident in my foreign-language speaking ability by the end of the course because I was sitting in a room with people of all ages from all over the world, discussing my own and other cultures (and their similarities and differences) ... all in German! Read more of Greta's story here.